Peaches are a delicious summer staple in our home, and we also love our Kentucky bourbon. 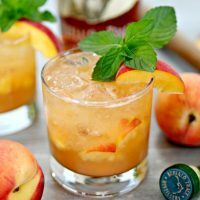 Put the two together, and you get this amazing Bourbon Peach Smash Cocktail, one of the most refreshing bourbon drinks we’ve ever had! Nothing is quite as southern as a sweet Georgia peach, it’s by far one of our favorite summer loves. Living in Kentucky means we have access to tons of delicious Kentucky bourbon, and one of our absolute favorites is Buffalo Trace. We’ve toured their amazing distillery several times and have quite a collection of their different bourbons…they are all so delicious and each a bit different. Marrying sweet Georgia peaches and one of our favorite Kentucky bourbons may very well have created the most delightful cocktail we’ve had! 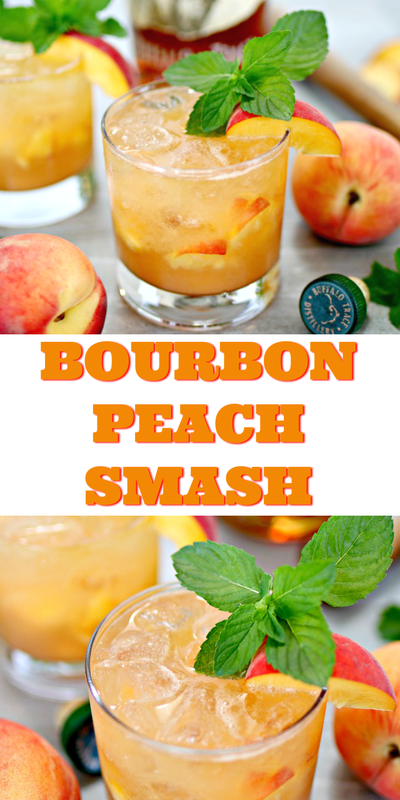 So grab some fresh peaches and your favorite bourbon, and let’s get smashing, shall we? 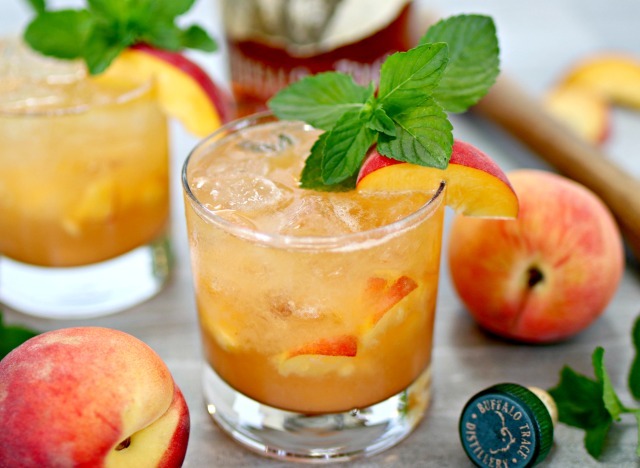 What’s in a Bourbon Peach Smash? add diced peaches, mint leaves and simple syrup to a glass and muddle together. 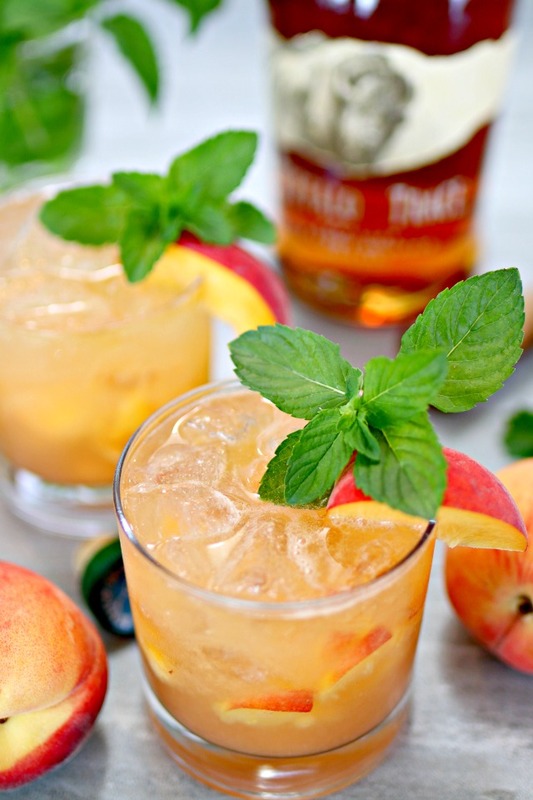 I hope you enjoy this Bourbon Peach Smash as much as we do! 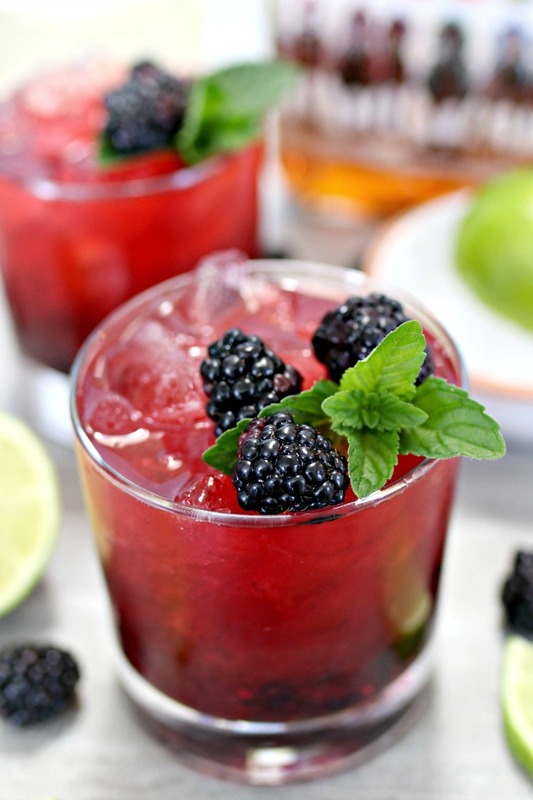 Another delicious bourbon drink that we love is this Blackberry Bourbon Smash…it’s so fresh, and the perfect cocktail for bourbon lovers! Looking for a seriously tropical cocktail? 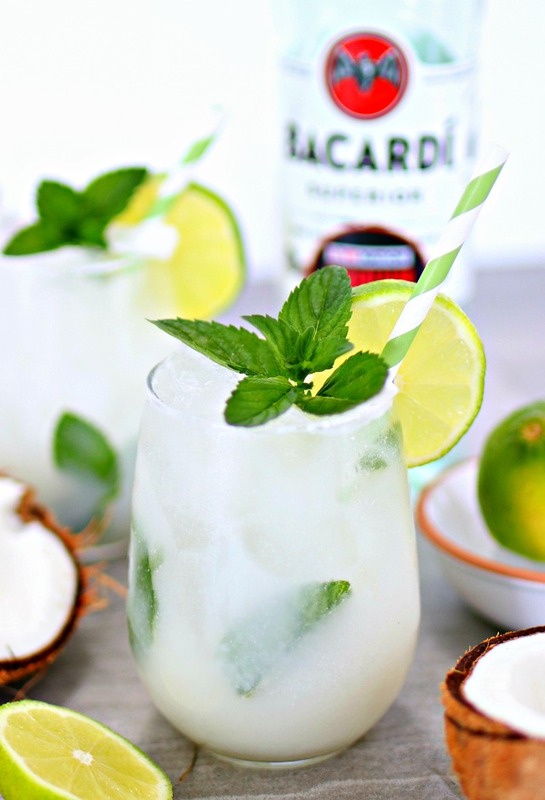 You have to try this refreshing Coconut Mojito…it will make you feel like you are relaxing in a hammock on the beach! 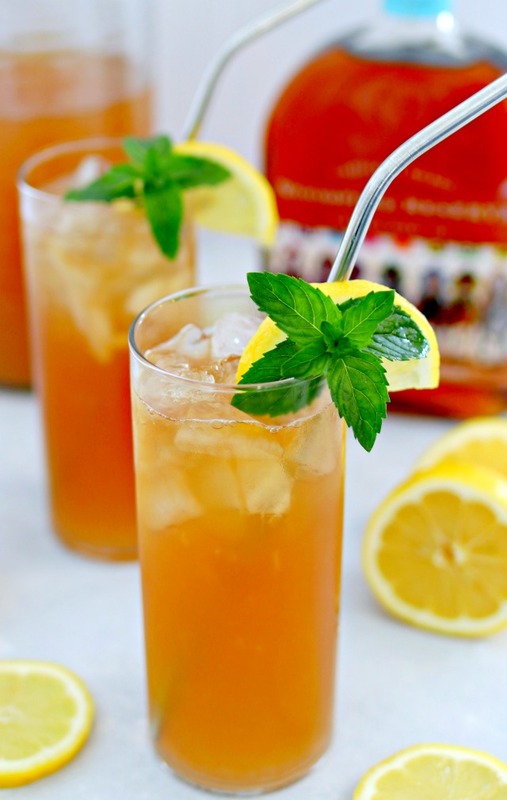 This Bourbon Arnold Palmer is the perfect mix of bourbon, lemonade and sweet tea…it’s so delish, and will have you saying “Bless Your Heart,” just like a true southerner!